Weekly Race Recaps, Crowbar and Powder Keg Coming up! It’s Friday. Whoop Whoop! Hope everyone’s had a chance to recover from last week races using the best possible, proven method- powder skiing. If you haven’t, looks like you’ve got a good chance to get some more in this weekend! In addition to the weeknight series, some bigger local races are coming up. If you haven’t raced either the Crowbar Backcountry Race or the Wasatch Powder Keg what are you waiting for?! This is your year (and as Warren Miller liked to say, if you don’t do it this year, you’ll be one year older when you do!). And if you have done the races, then gosh darn it, you know how much fun they are so sign yourself and a friend up, you know neither one will regret it! Weeknight race recaps. We had two week night races happening last week! 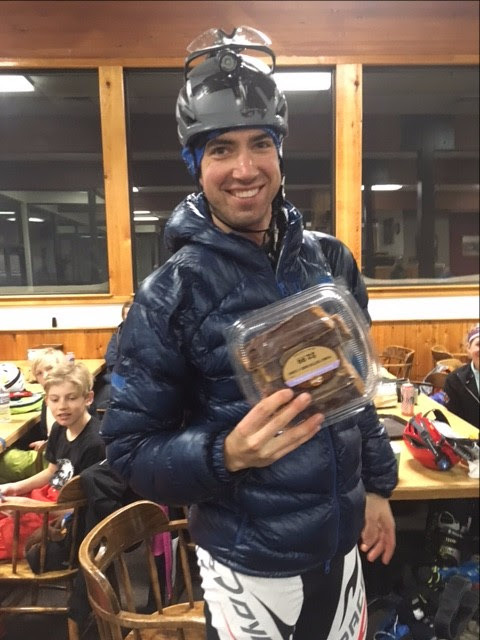 First, on Tuesday up at Brighton those who braved the weather and slick canyon road were rewarded with a full on powder course! Adam Holmes and Najeeby Quinn won the coveted cookies as our respective men’s and women’s winner and pretty much everyone had a good chance of walking out with at least a Voile Strap (as always, thanks to our sponsors- Voile, The Sport Loft, Skimo Co, Gnarly Nutrition, Dynafit and Black Diamond- for helping with the races and providing awesome raffle prizes!). 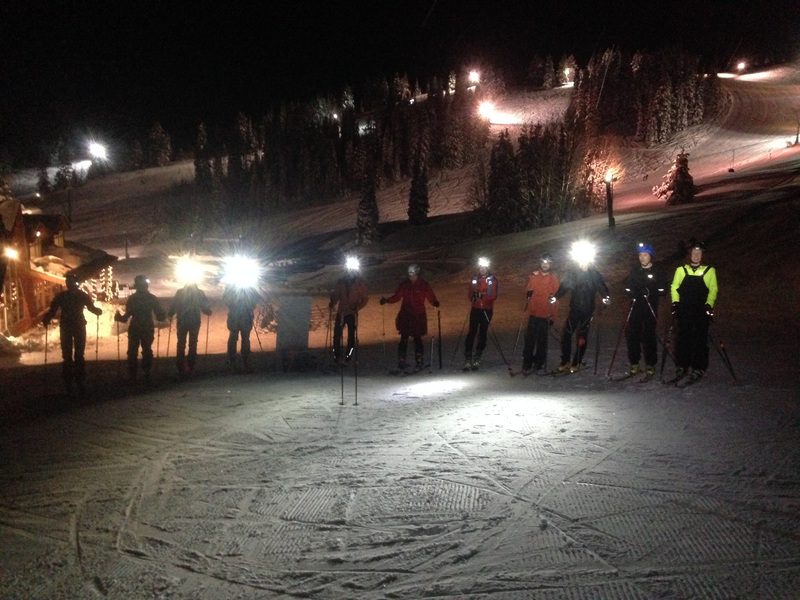 The second race of the week marked the beginning of the Beaver Mountain weeknight series! We had a small but enthusiastic group show up to Beaver Mountain on Friday night, to run laps on a fun 500-vertical-foot course set by Tyler King. Kick turns through the trees led to a screaming groomer descent on excellent snow. The demo gear was quite popular – thanks for the hand delivery, Layne! – and we were thrilled to sign up a slew of new Utah Skimo members and to see a couple talented young athletes try skimo for the first time. There was a fierce battle up front, as newcomer Rylan Schadegg relentlessly chased down some tired old man (the author). Each completed 5 laps a few minutes under the one-hour cutoff. The old man prevailed… barely… but Rylan is currently practicing transitions in his yard and planning to crush everything in sight the rest of this season. Lucky winners took home randomly-drawn prizes, including a free entry to theJan. 28 CROWBAR race and a $50 Altra gift card. Thanks to our sponsors, participants, volunteers, and especially Beaver Mountain! The next Logan race is Feb. 10 at 630 pm. Exciting Upcoming Races! Remember those race I mentioned earlier? Here’s some more information! 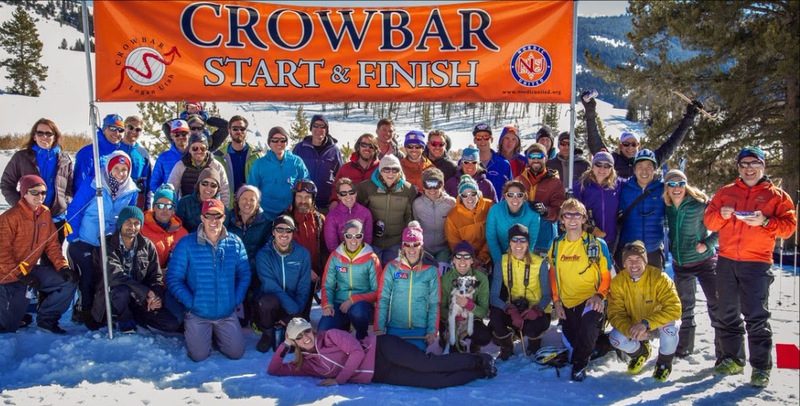 Come join us January 28th at 9:00am for the CROWBAR backcountry ski race! 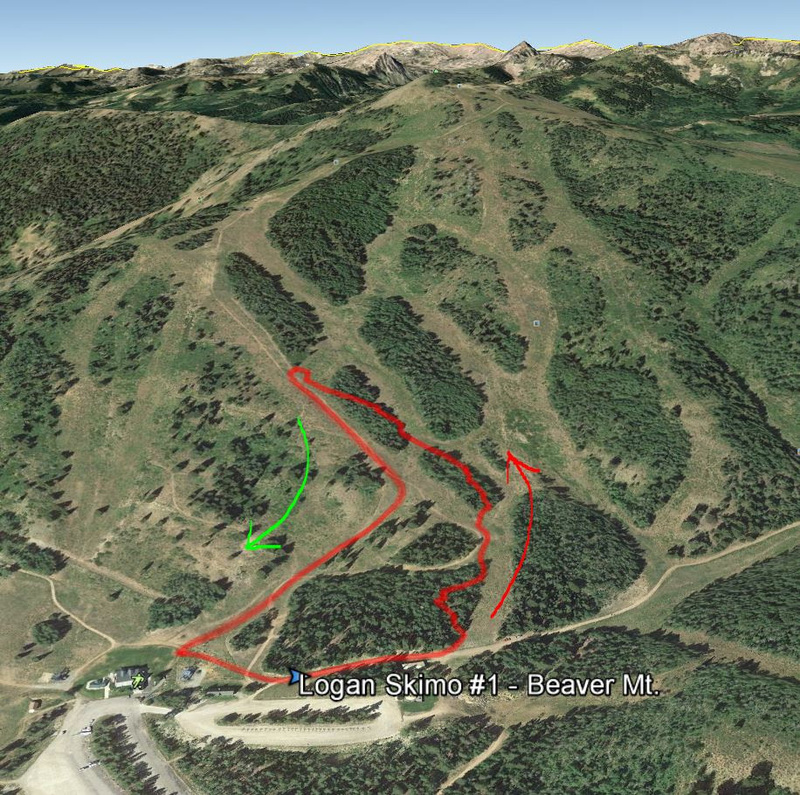 CROWBAR is held entirely outside of ski area boundaries in Logan Canyon, Utah. Race, Recreational and Junior (under 18) divisions are offered. The course includes big climbs and fun descents on ridges, forested slopes, and open powder fields, while avoiding avalanche terrain and providing spectacular views of the Bear River Range. This year Cache Valley local youth and Utah SkiMo Youth League members race for free! For more information and to register, visit UltraSignup.com or email crowbar@nordicunited.com. 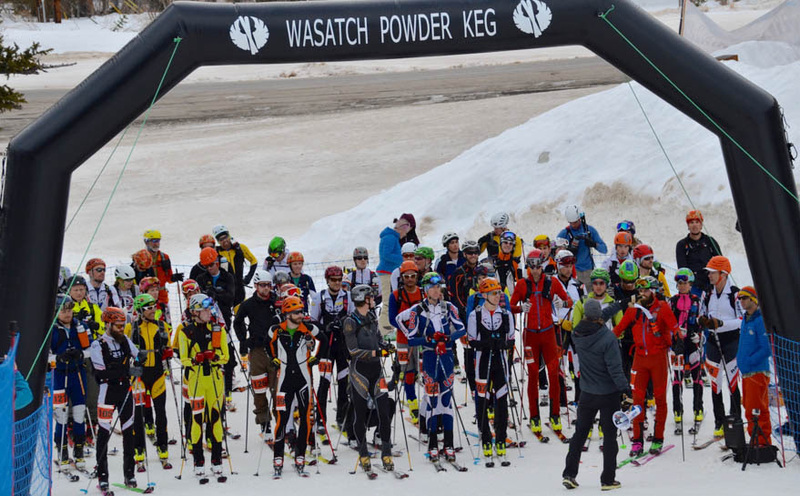 The 15th annual Wasatch Powder Keg will be held on March 10-11 at Brighton Ski Resort. The Powder Keg is a test of speed, strength, and endurance for any backcountry skier. This year will feature a Friday afternoon Vertical Race and Saturday Individual Race. 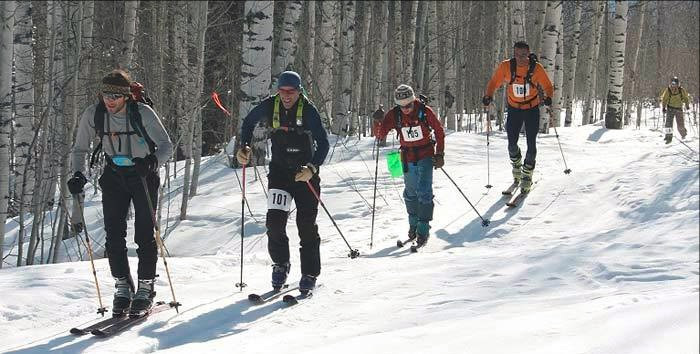 The Powder Keg is part of the US Ski Mountaineering Association National Race Series. Register here! And don’t forget about the other events we have going on! We’ve a women’s meet-up Thursday nights at Brighton and an Uphill at PCMR meet- up happening on Wednesdays. Ski-Yo on Tuesday, Jan. 31st, 6:30 at the Skimo Co retail store and hopefully a clinic on skinning technique before the Feb 4th race at Brighton. Don’t forget to call Jeff Handwerk, an instructor at Solitude who’d love to help you crush the downhill on lightweight gear. To set up a lesson, contact him directly. To have even more fun, get a group together for a group lesson! It’s another Tuesdaynight race so I guess that means another powder day? Weather’s setting up for another powder course on this week (that would make 3 out of 4 so far this year!) so make sure you leave in plenty of time to make it up safely, and save a little energy for the whooping and hollering on the downhill! Please follow the uphill policy for Park City Mountain at all times: http://www.parkcitymountain.com/mountain/safety.aspx#/UphillTravel. 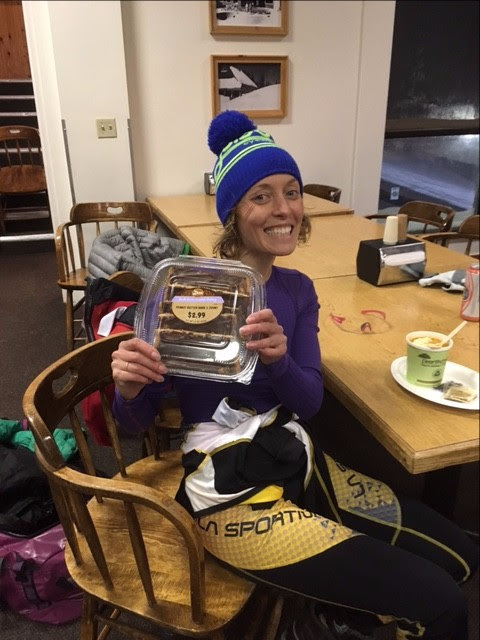 A fun night for women and girls of all abilities on all uphill ski gear interested in participating in Ski Mountaineering racing for fun and fitness. Please bring your own backcountry/skimo gear, helmet and headlamp. Have your gear on and be ready to go at the bottom of the Great Western lift at 6:30. Running late? Just head up from Great Western to find us! We’re usually out till about 8, but you can always leave early.